Discover how to increase your sales with greater team productivity so you get out of the office earlier to do what you love with those you love. 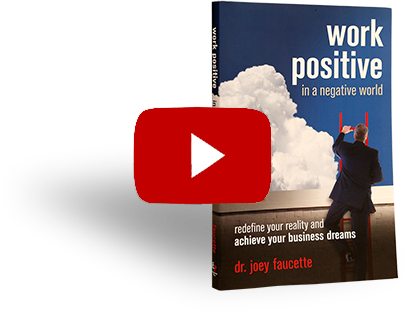 Watch the video (right) and start to Work Positive today! Don’t have time to read? Grow your business with these 3 Ways to Make Time to Read from Dr. Joey Faucette, coach, speaker & best-selling author. Ignore and eliminate the squawkers so you enjoy work as you Work Positive. How do you create success in your business daily? 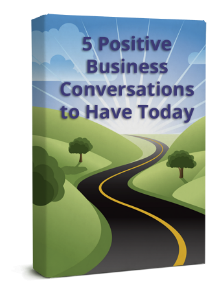 Discover “5 Questions the Successful Ask Daily” from Dr. Joey Faucette, #1 best-selling author & leading Business Success coach. Find success in the silver lining of business! Step away from the negative shadows and discover a positive reality, wide open with new solutions and opportunities. Unleash your power to increase sales with greater team productivity so you get out of the office earlier to do what you love with those you love with this #1 best-seller in paperback, Kindle, or audiobook from Amazon.